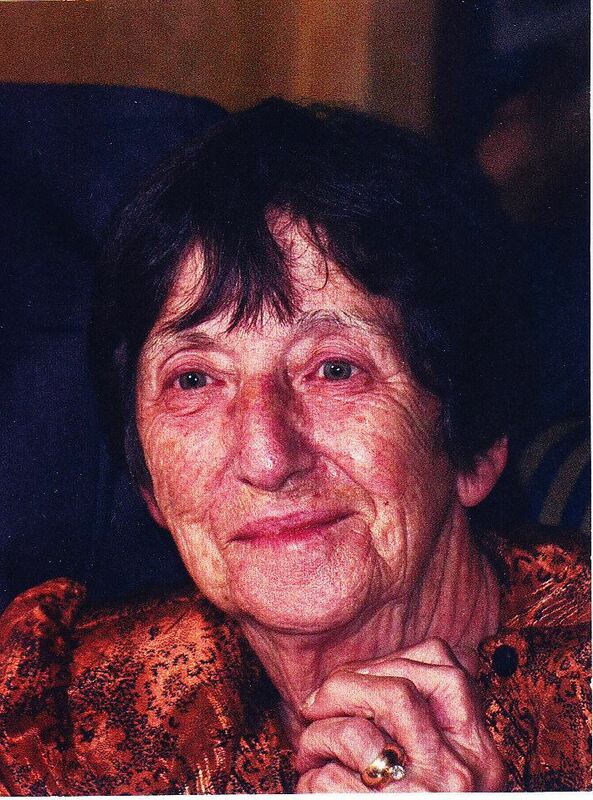 In loving memory of Sylvia Stella Bobby who passed away peacefully on May 16, 2018 at Englehart and District Hospital at the age of 87. Born at Creighton Mine, Ontario on December 2, 1930 to Michael and Olha Semeniuk, Sylvia was predeceased by her husband Dan Bobby. She is the loving Mother of Ehor (Mary Ellen) Bobby of Timmins, Olia (Bohdun) Chodoriwsky of Englehart, and Vera (Mark) Desjardins of Wasaga Beach. Dear Grandmother "Baba" of Melissa (Carlos) Sosa, Alyson (Philippe) Bruneau, Lauren (Wade) Forrest, Emily Bobby, Steven (Sarah) Chodoriwsky, and David (Erin) Chodoriwsky. Great-grandmother to Isla, Santos, Leo, Elise, and Ffion. Before retiring in Englehart in 1988, Sylvia was a long time resident of Kirkland Lake where she worked in the nursery at the Kirkland & District Hospital and was very proud of all the babies she cared for. Sylvia will be remembered for her generous acts of kindness, her openness, her creativity, and her boundless energy. Funeral arrangements were entrusted to McDonald Funeral Home in Englehart. Funeral Mass will be held at Holy Trinity Church, Englehart at 2:00 p.m. on Saturday, June 16, 2018. The family wishes to thank the staff at the Englehart & District Hospital for their care and compassion. Condolences, contributions and memorial candles may be left at www.mcdonaldfuneralhome.ca. To send flowers to the family of Sylvia Bobby, please visit our Heartfelt Sympathies Store.